Evident is highly specialized in the fields of automation and financials across multiple disciplines including senior housing, hospitality, food products manufacturing, insurance and financials services. 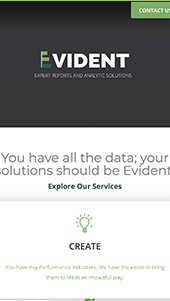 Useful, interactive analytics reporting tools tailored to the needs of businesses. When we started working with the team at Evident, they were establishing their brand. Their business goal was to create market awareness and product acceptance. It was evident they needed a clean, modern look and feel with a website that reflects who they really are. 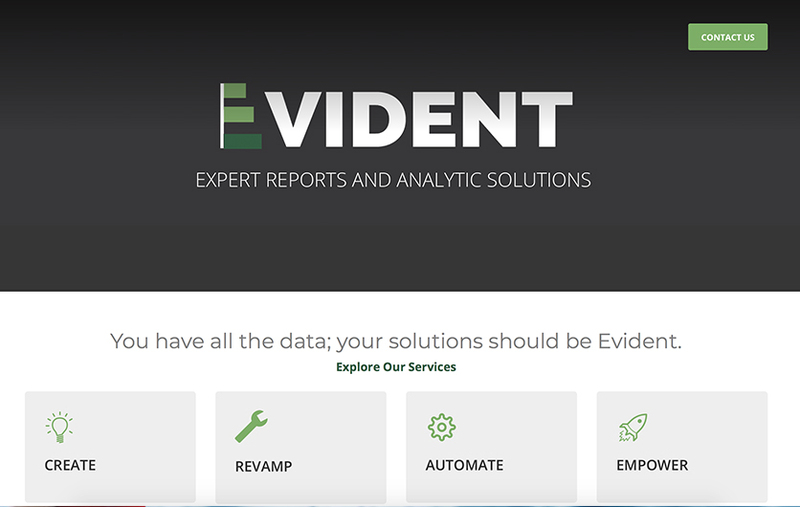 From the start, Evident has been very strong in their analytical capabilities. They wanted to highlight their expertise to take it to the next level with current and prospective clients. It was Evident's courage to commit to standing out amongst a competitive landscape that largely settles on fitting in. And with that commitment, they got a website that represents a forward-thinking, extremely intelligent company.